For services and websites used by residents of the European Economic Area, Bookbug / this is a bookstore is the data controller responsible for your personal data. 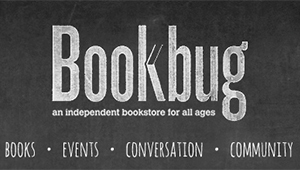 For more information please contact us at bookbugkalamazoo@gmail.com. Bookbug / this is a bookstore is a global business and it, or its service providers, may process, transfer, and store information about our users on servers located in a number of countries outside the European Economic Area (EEA), including in the United States (where data protection laws may be less stringent than in the country where you live). Since we are committed to protecting your information, we take steps to ensure that there are appropriate safeguards in place when we transfer that data. To ensure that your data is adequately protected, we only transfer your data subject to suitable safeguards being in place. Where applicable, we only transfer your personal data subject to suitable safeguards being in place, such as through Privacy Shield certified organizations. To find out more about how we safeguard your information (including obtaining a copy of such safeguards) in relation to transfers outside the EEA, please contact us at bookbugkalamazoo@gmail.com. 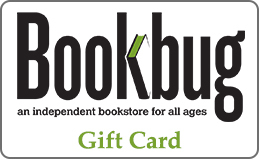 Bookbug / this is a bookstore will keep your personal data for as long as we need it for the purpose it is being processed for. For example, we will retain your information for as long as your account is active or as needed to provide you services; and after that, we will keep the personal information for a period which enables us to handle or respond to any complaints, queries or concerns relating to your account. Your information may also be retained so that we can continue to improve your experience with us and to ensure that you receive any loyalty rewards which are due to you. We will periodically review the personal information we hold and delete it securely, or in some cases anonymize it, when there is no longer a legal, business, or consumer need for it to be retained. Pursuant to applicable data protection law, we may be entitled to refuse to act on the request. To make these requests with Bookbug / this is a bookstore, please submit your name, address, and email address, in addition to the specifics of your request, to bookbugkalamazoo@gmail.com.